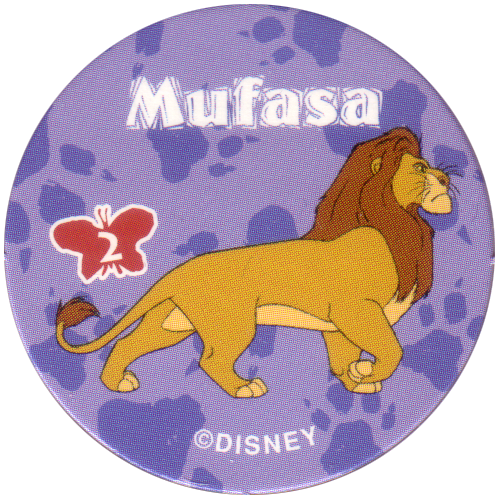 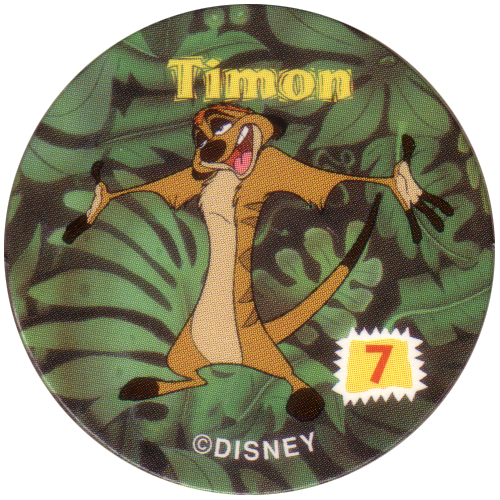 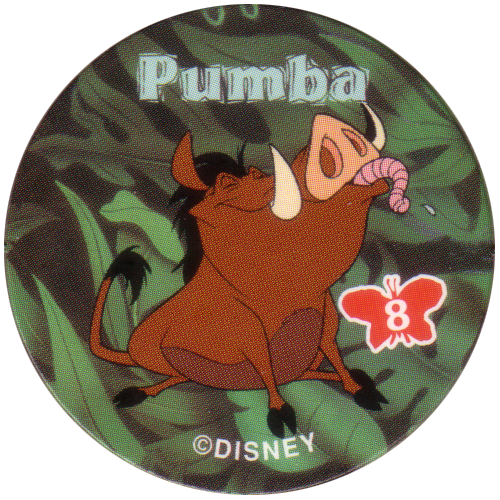 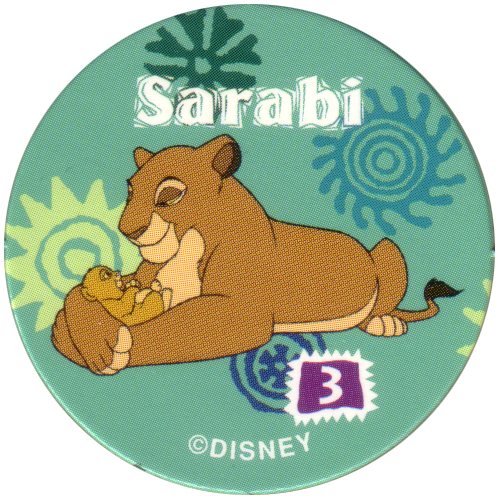 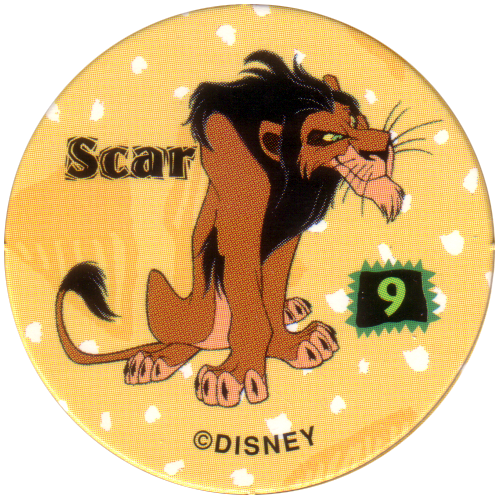 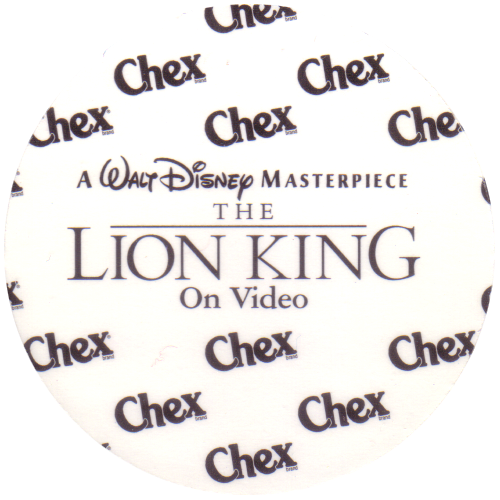 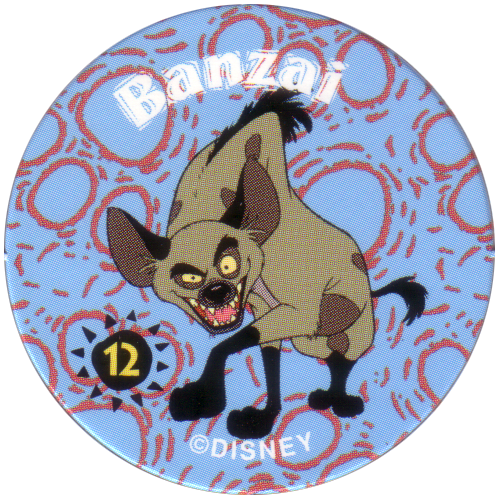 Info:In 1995, to promote the release on video of the Walt Disney film The Lion King, Chex cereal inserted Lion King pogs in all of it's boxes of cereal. 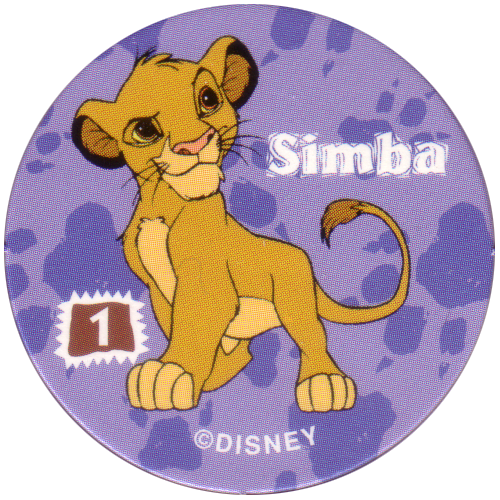 These came on 2-pog punched panels. 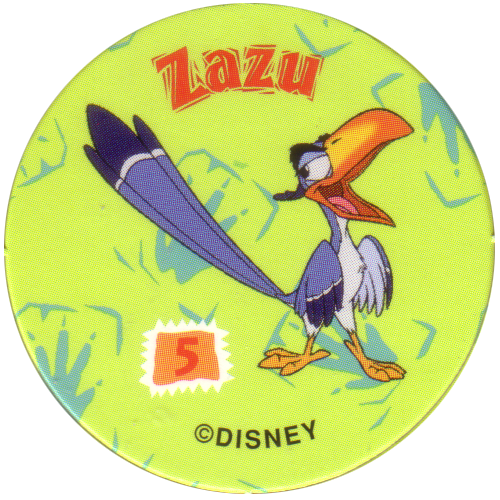 Two of these panels (4 pogs) were enclosed in a cello pack and buried in the box among the cereal. 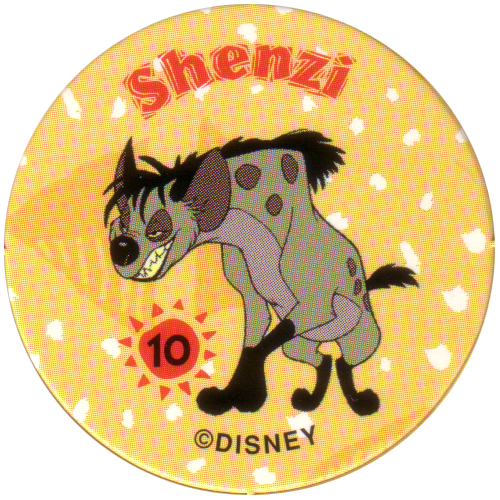 The pogs are numbered on the front. 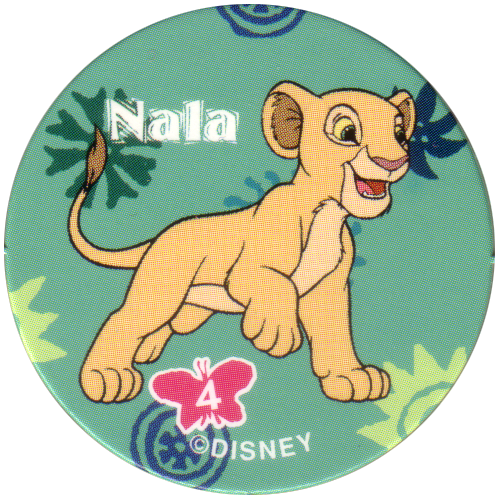 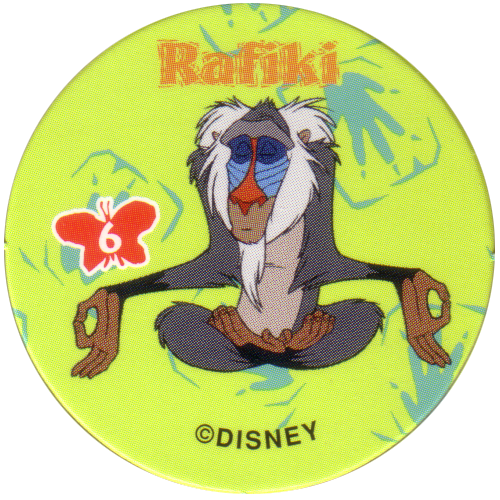 An ultra rare, unnumbered, bonus 13th pog does also exist. 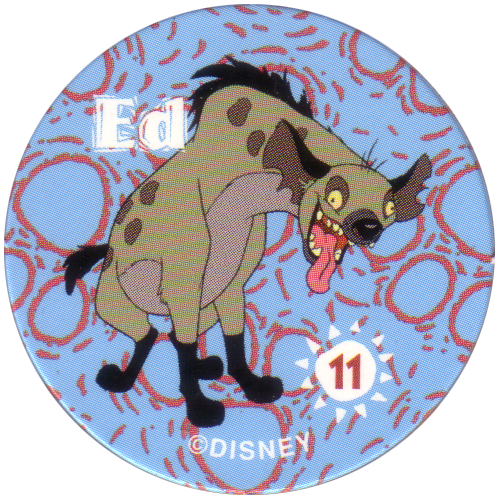 The lucky cereal eaters who found this Pride Rock pog could mail it in for a free copy of the video.